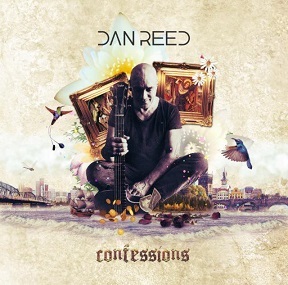 Dan Reed was born in the US in Portland, Oregon, but in early childhood moved to the countryside of South Dakota after his mother remarried the owner of a cattle ranch. Growing up on 2000 acre´s of land as an only child gave Dan plenty of time to daydream and it was here, riding tractor in the summer sun that Dan first fantasized about becoming a musician while listening to the Doobie Brothers, Kiss, Cheap Trick and Van Halen blaring on the tractor cabs´ AM radio. All through his high school years he played trumpet in the school band, while studying Shoto-Kan Karate, and participating in every sport he could get his hands and feet in to, but it wasn´t until a Japanese exchange student named Tsutomu Oki taught him how to play guitar that Dan realized that this was what he was searching for... the world of writing songs. After graduating from Aberdeen, South Dakota´s Central High School, he packed his bags and headed west back to Portland, Oregon... his place of birth and the closest ´big city´ he could find near the ocean, a place he held in his childhood memory and missed dearly living in the midwest. 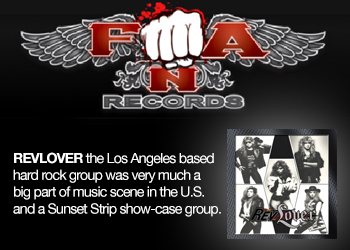 Although there were many incarnations of bands Dan Reed performed with in South Dakota and in Portland it was in December of 1984 where he truly first began his musical journey as the lead singer of a band called Dan Reed Network. 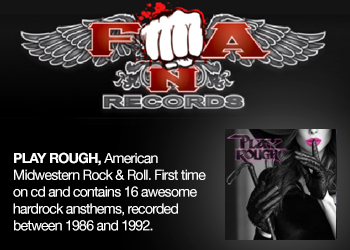 During the release of their three albums with Polygram between 1988 and 1991, DRN had the honor of ´seeing the world´, opening for such bands as RUN DMC, UB40, David Bowie, Bon Jovi, eventually leading to becoming the supporting act for the Rolling Stone´s 1991 European tour. It was at this time Dan journeyed to India with Bob Guccione Jr. to interview the Dalai Lama for Spin Magazine. It was during this trip that Dan began to hunger for more than what the pop/rock music scene had to offer. After the break of the Seattle Grunge scene and with his newly found interest in pursuing a different path, Dan saw the writing on the wall, and disbanded the Network and renewed his passion for the arts in other area´s. He then started an independent record company in his hometown of Portland, Oregon to help promote local NorthWest bands, while at the same time studying acting. Dan was cast in a number of plays and small role´s in television and film projects, and was given great reviews for his performances, which gave him confidence to take it to the next logical step- screenplay writing. ´Zigzag´, a script penned by Dan, caught the eye of a local production company in Portland and was produced in 1997 with Mr. Reed playing the leading role. The film reached the Top 20 in Billboard´s home video rental category and can be found on ´Amazon.com´. However this was a shortl-lived passion for In Dan´s words "I found the process of making film a long and exhausting way to get to the ´high´ of creativity. From writing the first page to seeing it on screen was a 3 year endeavor... I realized once again that writing music and performing live was in my blood. Although writing screenplay´s is not unlike writing a very long song, the actual ´producing´ of a film is an art form that can be quite draining and not as visceral as creating music." In 1999 Dan was offered the opportunity to become partner´s in an established blue´s and rock music nightclub in Portland called Key Largo. Realizing that the electronic music scene was to date confined to warehouses, special events and outdoor parties, he saw and opportunity to turn Key Largo into a ´hybrid club´, having live bands from 9pm to midnight and then switching gears from midnight to 4am with local and international DJ´s. Renamed ´OHM Nightclub", the venue became the premier spot to check out cutting edge music, while at the same time introducing the future of music to the hardened rock audience. "With DRN and ever since I have always envisioned no border´s when it comes to creativity... I have been in awe of how the last decade has continued to combine ancient, contemporary and futuristic art forms in music, film, art, theater and dance. It says a lot about how much the human mind and expand and how much the heart and soul will embrace." During his tenure as creative director of the club, Dan also created a live performance electronic group called ODYSSEY and was approached by EON Records to create a new album. He wrote many electronic tracks, some with his vocals or with sampled vocals from different speaker´s, and many instrumental tracks, some of which were released through EON and Universal on I-tune´s in 2005 and more of this era of recording will be available in late 2008. After attending the Burning Man festival in late 2004 Dan began realizing that being pinned down in the nightclub world had it´s dangerous side, for not only did he help create a great success with the OHM, but he also succumb to the darker side of the nightclub business. He realized his talent and his energy was being drained from the constant parties, substance abuse and endless late nights. With his father Thomas Reed being diagnosed with cancer and passing away shortly thereafter, Dan rallied his energy and left the Nightclub and headed back to India. 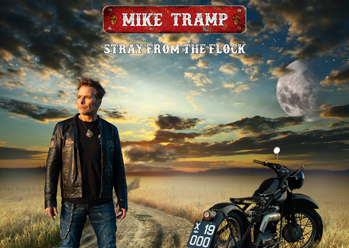 Ironically the same place that gave him the courage to leave the music business 15 years ago, was soon to become the inspiration to return to the music. Immediately upon arriving in Dharamsala, India in 2005 Dan sought out the Tibetan monks, feeling a need to connect with their philosophy and lifestyle. After befriending two monks Lobsang and Sonam, Dan was invited to live in a monestary guest house and with that came the ability to attend the daily prayer meetings and rituals. "One of my favorite experiences of that time was heading up in to the HImalayan mountains mid afternoons to go practice Throat singing with Sonam. In order to get ´the voice´ out it is standard practice to sing in to the sound of the rushing streams tumbling down the valley´s. Although Sonam was a gracious teacher, patient and humorous, his favorite past time was learning Western rock songs he had heard from time to time on local Indian radio stations. I would be trying to focus on learning how to resonate the low tone of the Tibetan throat singing, while at the same time teaching Sonam lyrics to Queen songs!" During a year long journey in India, Dan had met many Israeli musicians and artists vacationing throughout the country and became fascinated with the stories of Israeli life, the hope and the tragedies, and after meeting a fashion designer turned energy healer named Adi Hadani, he decided he would venture to the Middle East to see what he could learn about the beauty and the conflict of this most interesting and enigmatic part of the world. Upon visiting Kfir Shtivi in Jerusalem, an Israeli musician he met in Varanasi, India, Dan made the decision to re-locate his recording studio and his life from Portland to this ancient city- "After years of being in the entertainment business, surrounded by constant chaos and temptations, Jerusalem was the bridge back to the West from the quiet and calm life of the Eastern monastic life. For me this was a lifestyle I had not experienced yet, and appeared to be the perfect place to compose a new record... Jerusalem. in the heart of what millions of people believe to be the spiritual apex of monotheastic faith, it was here in this city of hope that all my experience from the days of DRN, to the film and nightclub business, to the nomadic lifestyle of traveling in India, came in to focus." 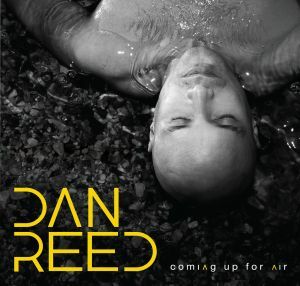 With Florida based LIQUID MUSIC GROUP´s upcoming release of the new Dan Reed CD "Coming up for Air", Dan presents a group of songs that mirror this life journey. With songs composed from Hong Kong to New Dehli, Jerusalem to London, he has come full circle to do what he has always done best- create, and most importantly... to sing to all who will listen. "What I have learned most on this path is that music brings people together and in a world of war, corruption, disease, and environmental destruction... ´together´ is a good direction. I am constantly inspired and hopeful for the future of music. It is an amazing playground to feel connected inside and out. This creative journey has been a very wild and harrowing ride, but the view has been worth the price of admission." Nathan Angelo, Elliott Smith, The Private Life Of David Reed, Lucio Rubino, Raine Maida, Pete Yorn, Mike Finley, Sam Roberts, Mat McHugh, Jeremy Lister, Matthew West, Tomi Swick, Kaitlyn Anderson, Nicolas Johansen, Drew Danburry, Matt Wertz, Matthew Barber, Jason Reeves, Cal Ecker, Matthew Perryman Jones, Brandon Jackson, G. Love and Special Sauce, Robert Kelly, City And Colour, Right Away, Great Captain!